A brand new month means a brand new Elder Scrolls Online Crown Store Showcase on the ESO store. This week has several recurring themes for players with Crowns to spare or are ESO Plus members. It’s of course, Morrowind celebration week and there are a few items this month that reflects that. Without further ado, here’s our top 5 picks from this month’s ESO showcase. It’s about damn time we got some Nord themed outfits! And it’s a real nice dress for female characters too, and reminds us of Lyris Titanborn. 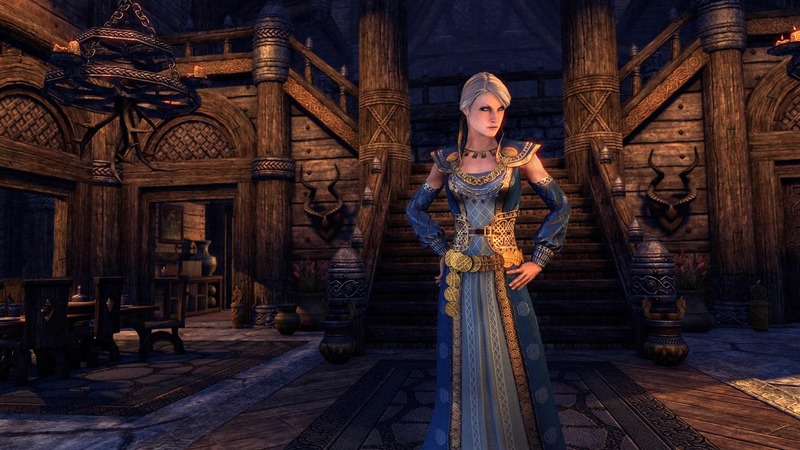 The Jarl’s Justice Formal Frock will first be available in the Crown Store in February as an exclusive ESO Plus Offer, then later to all players in March. It will be available to ESO Plus Members on all platforms – and at a discount – for a limited time, from February 28 to March 4 at 10am EST. As mentioned, it’s Morrowind celebration week and beginning February 7th, plenty will go down in the zone including bonus rewards and even a sale for the Chapter on Steam. To keep that going, the Morrowind: Lord Vivec Set offers house lovers the perfect decoration set up. 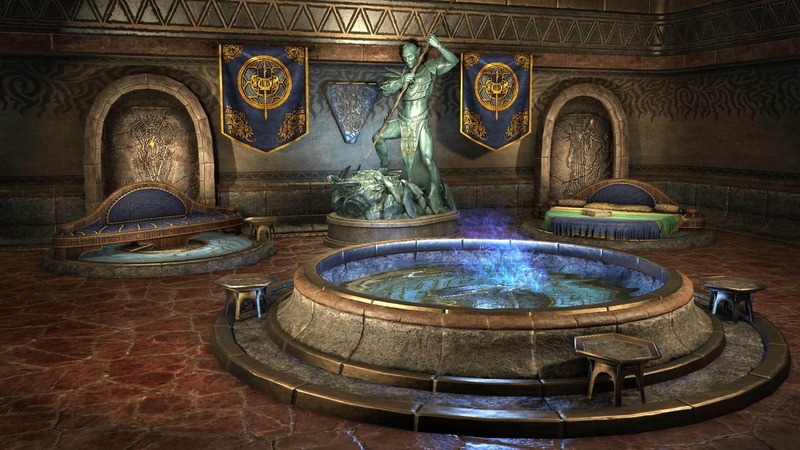 It looks exactly like Lord Vivec’s chill out spot in the game, and now you get to place that wherever you want in your homes. By the Three! Show your devotion to Morrowind’s Living Gods with furnishings inspired by Lord Vivec, the Tribunal Temple, and Vvardenfell. The Lord Vivec Furnishing Set will return to the Crown Store for a limited time on all platforms during the Morrowind Celebration Event, from February 7 to February 18. If you’re needing some new Motifs to beef up your outfit arsenal, the Huntsman is a great choice. 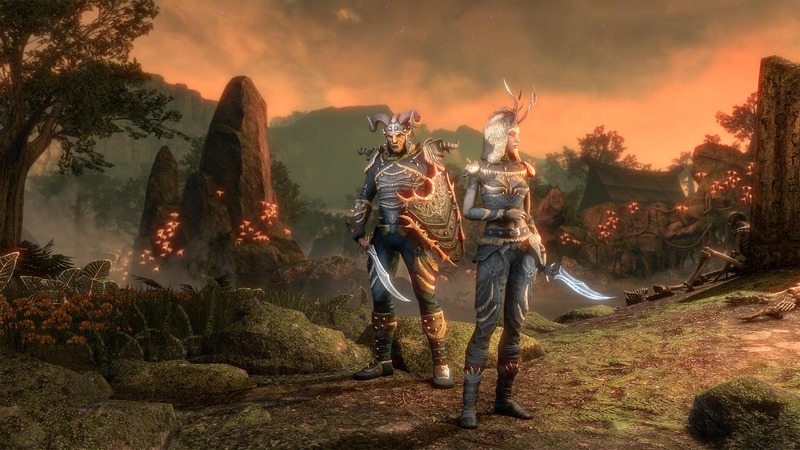 For players that don’t own the Wolfhunter DLC, this is another great alternative to get them and let’s be real – they look good. The Huntsman Crown Crafting Motif will be available to all players in the Crown Store on all platforms starting on February 13 at 10am EST. This Crafting Motif will also be available in game starting on February 13, and has a chance to drop in the March of Sacrifices dungeon by defeating the final boss, Balorgh (guaranteed drop for completing Veteran-Hardmode). Here’s an outfit perfect for nature lovers, and pairs really well with the Warden class. The thousands of small shiny particles that decorate the Treethane’s Mosaic Jerkin may appear at first glance to be of turquoise or other precious stones, but they are actually the iridescent carapaces of deep forest beetles. Dazzling! 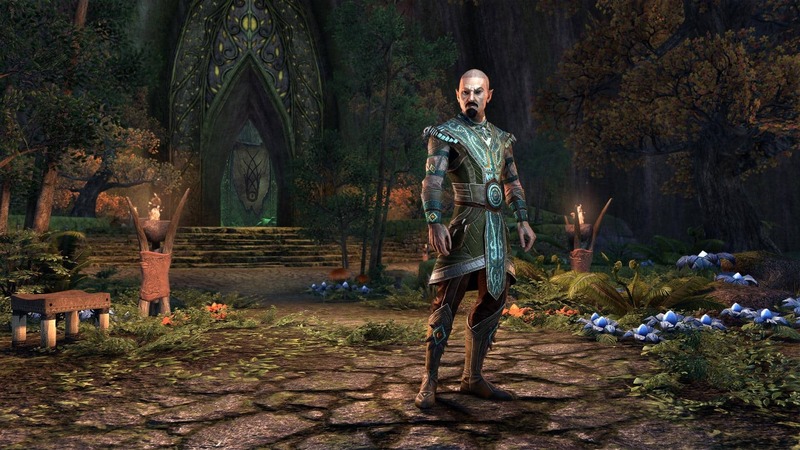 The Treethane’s Mosaic Jerkin will first be available in the Crown Store in February as an exclusive ESO Plus Offer, then later to all players in March. It will be available to ESO Plus Members on all platforms – and at a discount – for a limited time, from February 21 to February 25 at 10am EST. There’s already one Wolfhunter DLC comeback with the crafting Motif, but here’s another one that’s free for all ESO Plus members. 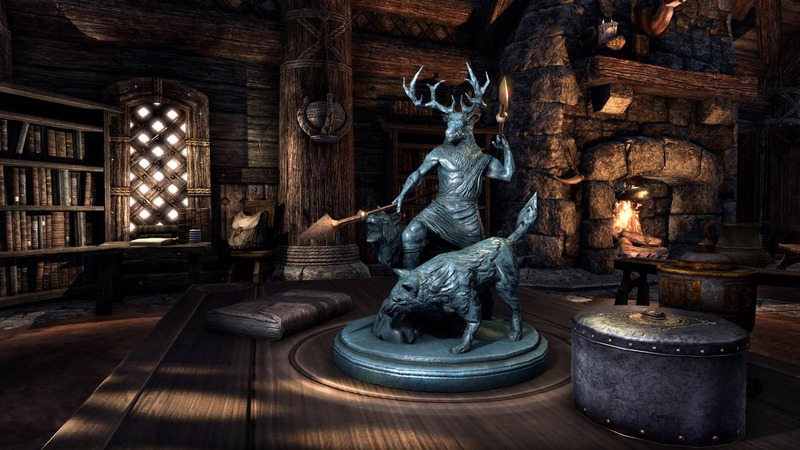 A miniature statue of the Daedric Prince Hircine, the Huntsman, the Father of Manbeasts whose Oblivion realm is the Hunting Grounds. The Hircine, the Huntsman Statuette will be available in the Crown Store for FREE, exclusively to ESO Plus Members on all platforms for a limited time, from February 7 to March 7 at 10am EST.